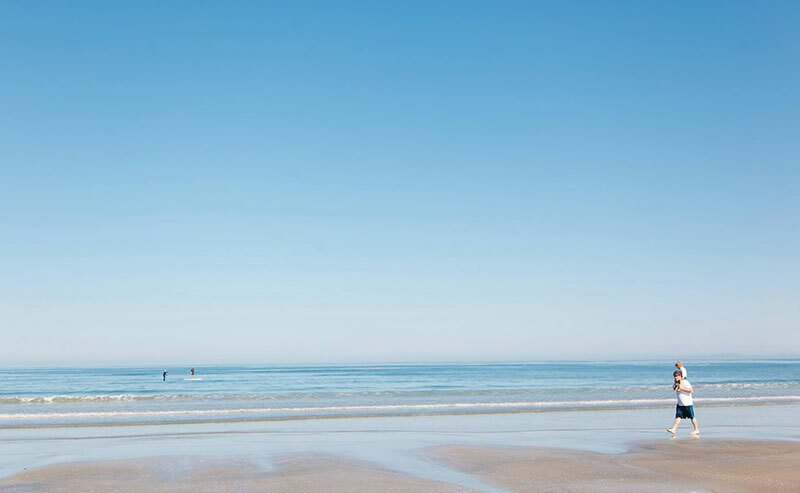 Extend your summer bliss by taking a fall beach vacation to the place where summer is never over, La Jolla Shores Hotel! While others may be feeling those post-Labor Day blues as their beach towels are tucked away and comforters brought out, you'll forget pumpkin spice is even a thing when you're immersed in the distinct laid-back spirit of California, lounging at our one-of-a-kind beachfront refuge. 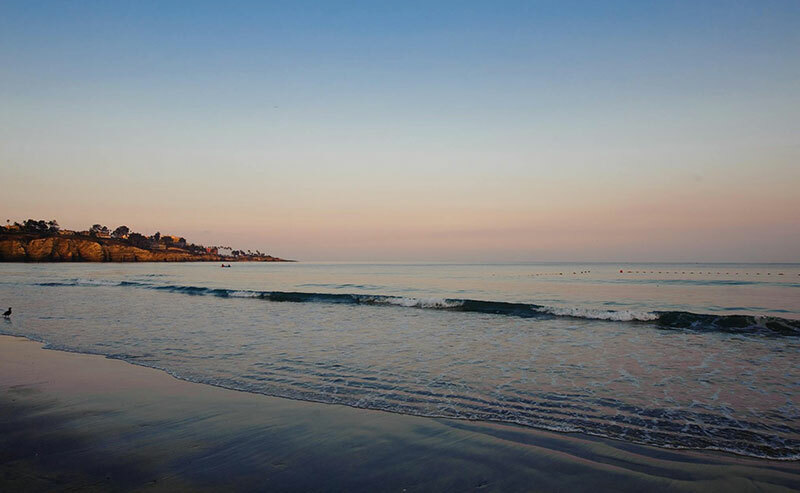 "I cannot express in words the magic I felt during my stay at La Jolla Shores Hotel...The room, staff service, maid service, and food were superior to other high dollar San Diego hotels...I loved this early spring vacation and look forward to a fall escape soon." September and October offer some of the most spectacular beach weather that Southern California sees all year -- daily temperatures linger in the mid-to-high 70s, and the balmy autumn breeze ensures you never get too overheated while unwinding in the sand. You will also be visiting at the peak of San Diego's best surf season. In late summer and early fall, large swells combine with warm Santa Ana winds to generate the most coveted surfing conditions in the region. No Expiration on the La Jolla Sunshine! 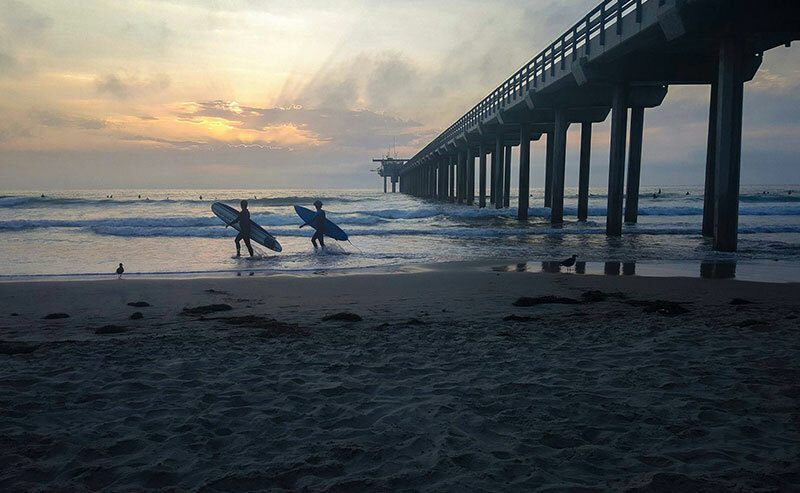 There's never really an "off season" for the unlimited sun and sparkling surf native to La Jolla, however in the fall months you can take advantage of smaller crowds. 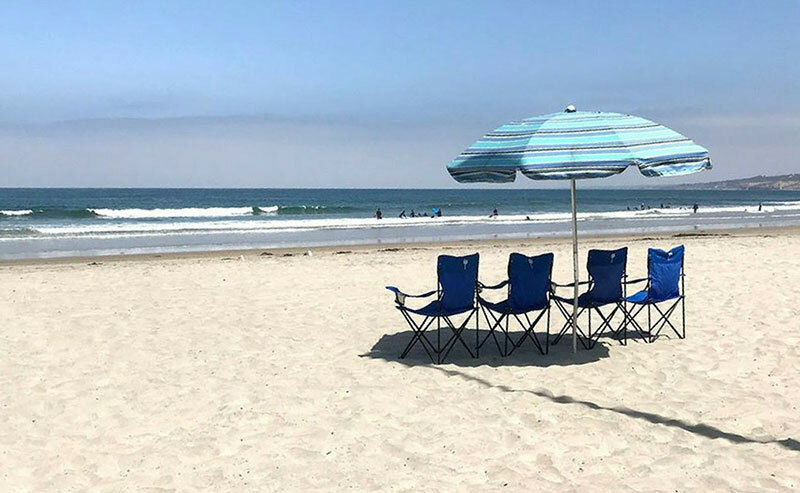 This means you'll enjoy a more private, tranquil beach experience at La Jolla Shores with your pick of complimentary beach chairs, umbrellas, and towels set up by our friendly staff to take in the incredible panoramic Pacific views on our beach. Plus, visiting La Jolla Shores in the Fall also means that you'll enjoy lower rates! Saving money has never felt better than when it's coupled with de-stressing in one of our 128 peaceful rooms, all with direct beach access and scenic coastal views. After you've had your fill (temporary, of course!) of reclining on the sand, we've got you covered with a wide range of exciting activities to keep you engaged with La Jolla's natural beauty. Fall at La Jolla Shores means endless family activities with lighter crowds, making our beautiful beach your idyllic personal playground. 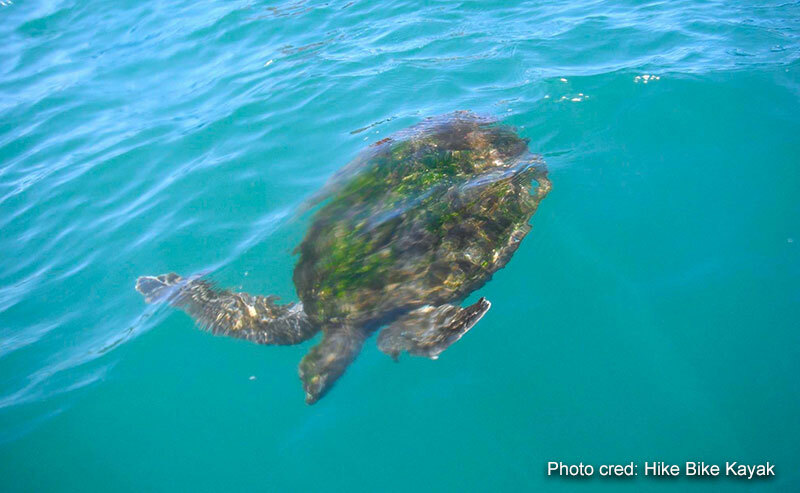 Spend the afternoon surfing and kayaking on the Pacific waves or set out for a day of scuba diving the 600-acre underwater eco reserve that sits just a few yards off our beach. 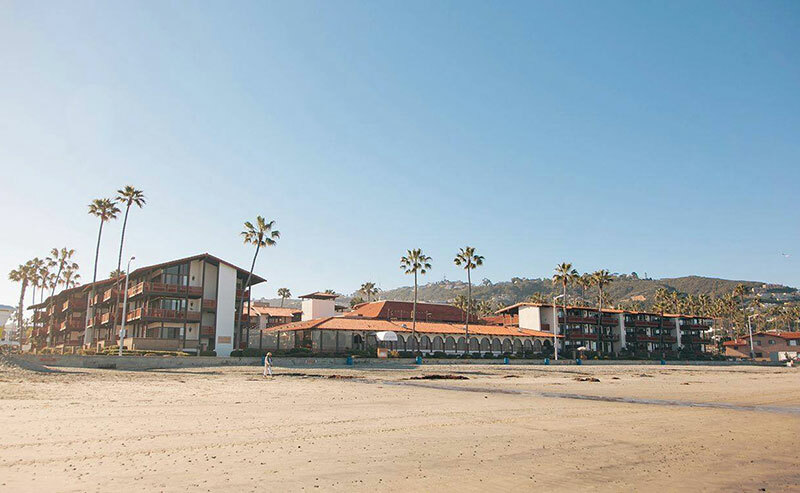 During low tide, venture down to the captivating tide pools just south of The Marine Room restaurant. These incredible natural repositories change daily with the tides, as sea life moves from one habitat to the next. Late summer and early Fall are particularly good times to explore the tidepools, as lower tides fall during daylight throughout the season. 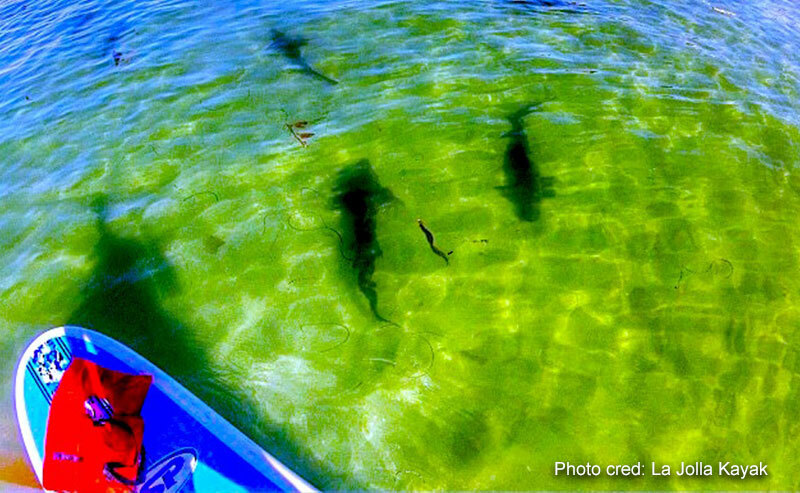 Why settle for peering at fish and rays through aquarium glass when you can swim among them? You may even catch a leopard shark sighting. Each year, thousands of leopard sharks migrate to the warmer waters of La Jolla Shores to mate and hatch their young, from early June through the end of September or October. 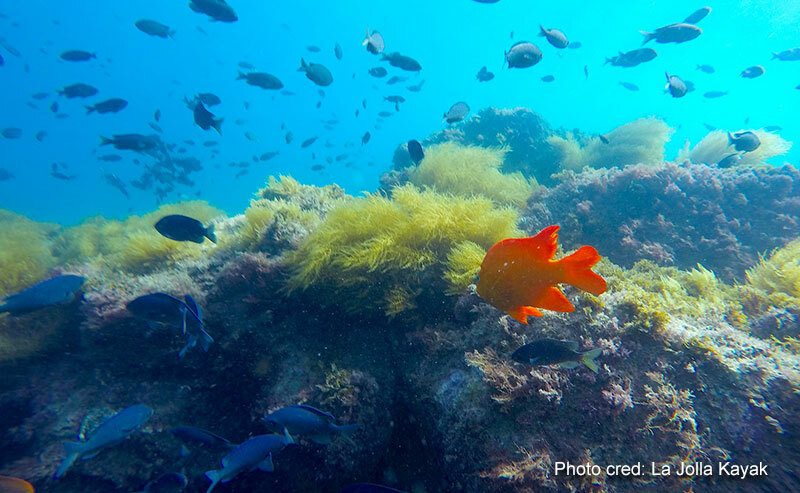 These gorgeous -- and harmless -- fish are a breathtaking sight, and snorkeling (or kayaking) alongside them makes for an unforgettable family memory. When you're ready to refuel from your day of play, indulge in the best California coastal cuisine at one of our four great on-site dining spots! Back home, barbecue season may be over by October. 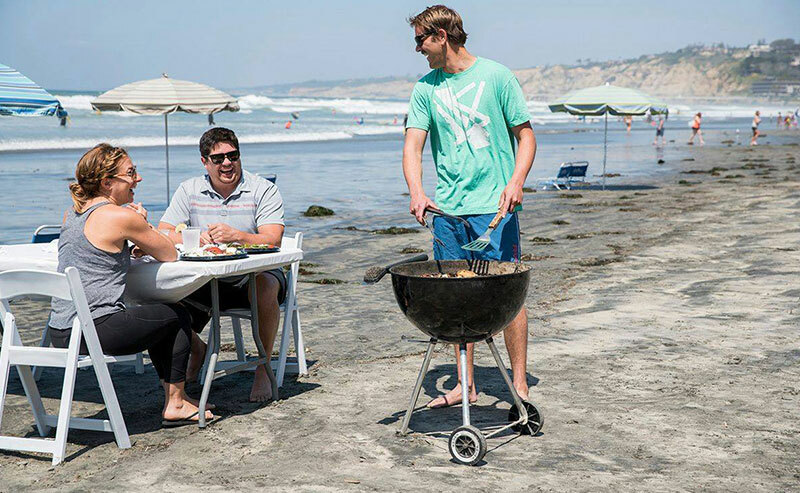 But at La Jolla Shores, our laid-back summer cookouts are still going strong! Get ready to entertain family and friends with a night of fabulous, fresh food right on the beach. We'll handle everything, from setting up your table, chairs, linens, and Weber grill. All you need to do is select your menu from our Beach Cookout Shopping List, and we'll deliver your grill-ready or pre-cooked fare straight to you on the beach. "The customer service excels at La Jolla Shores. We utilized their beach service (chairs, towels, etc) and the BBQ on the beach at night for some s'more toasting. 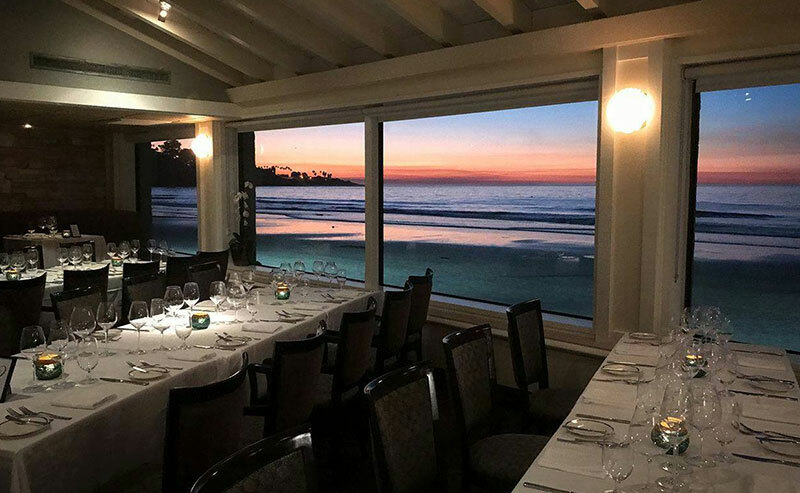 Everything was available when we desired it and the outstanding staff always cheerfully set everything up on the beach for us..."
Dining at our award-winning, French-inspired global fusion restaurant, The Marine Room, is a one-of-a-kind experience. Since its opening nearly 80 years ago, The Marine Room has become famous for the spectacular pounding surf right outside the restaurant windows. 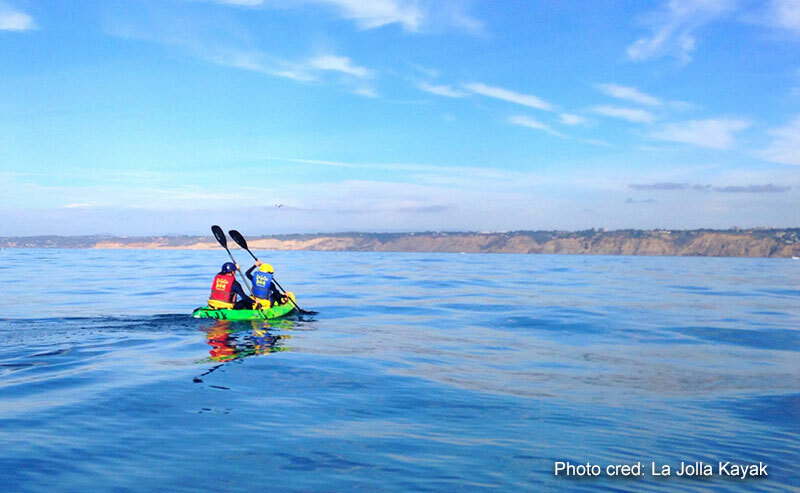 No visit to La Jolla Shores would be complete without experiencing the splendor for yourself! Book a High Tide Dinner or Breakfast Buffet (depending on the tides) at The Marine Room, where you will revel in locally sourced, delicious fare while witnessing the incredible waves at their peak force. "This is the most amazing seafood restaurant I had tried. You can really taste the effort and study put in to mix the flavors and meats...The view on the beach is especially amazing with the tide lapping at the windows." 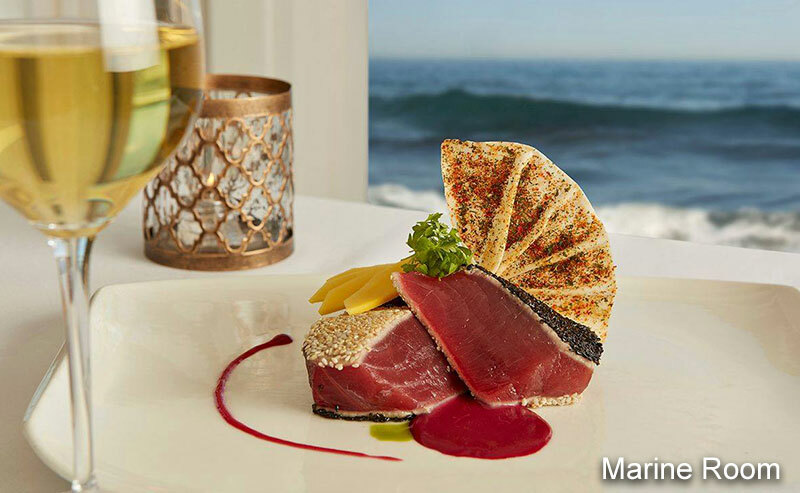 Foodies will jump at the chance to book their Fall vacation at La Jolla Shores between September 24 - October 1, 2018, during San Diego Restaurant Week -- an annual celebration that showcases the city's diverse culinary world. Over 180 restaurants participate in SDRW, including our Marine Room and Shores restaurants, offering patrons special prix fixe menus at an fantastic price. 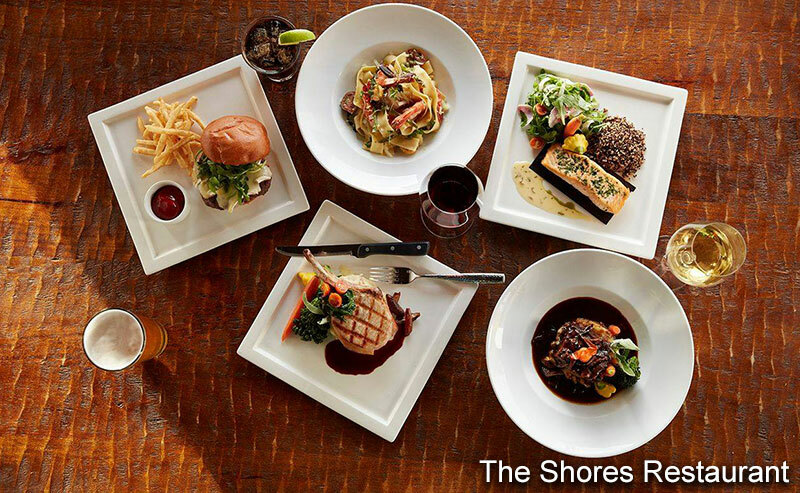 We are already thrilled about our delectable SDRW prix fixe offerings at both The Marine Room and The Shores, and we know you will be, too! Fall in San Diego is bursting with unique, affordable adventures for the whole family. No matter if you're planning a full-day outing with the kids, or an intimate day just the two of you, there is no shortage of amazing things to see and do. October is definitely the month to plan your Fall vacation if you have little ones. 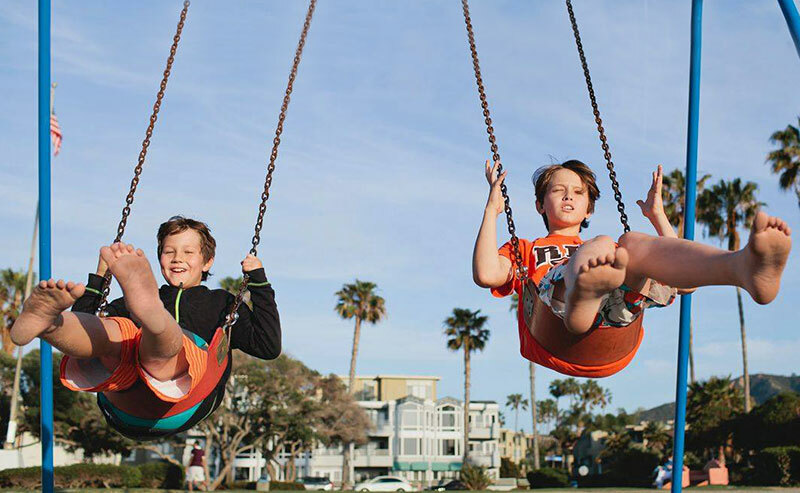 During the month-long celebration known as Kids Free San Diego, your kids get free admission to numerous popular San Diego attractions and complimentary meals at participating restaurants. 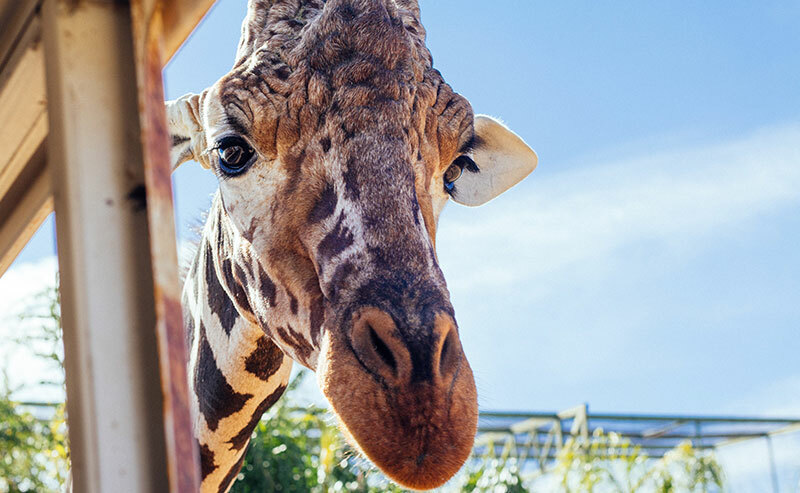 Bring your children to the world-class San Diego Zoo or Sea World for a jam-packed day of fun and free admission, or take in some culture and history at one of the eight Balboa Park museums, where kids will also pay nothing. Don't forget Belmont Park, San Diego's quintessential amusement park on Mission Beach, where your little ones also ride for free. On your Fall vacation to La Jolla Shores, be sure to bring your family to the La Jolla Shores Fall Fest, a street fair that celebrates and supports La Jolla local businesses every October. The "Party on la Playa" features goodies and treats handed out from local surf shops, boutiques, and businesses along with kid-specific fun like a bouncy house, face painting, and raffles and games. Every Fall since 1953, San Diegans have celebrated the Miramar Air Show at Marine Corp Air Station, Miramar. 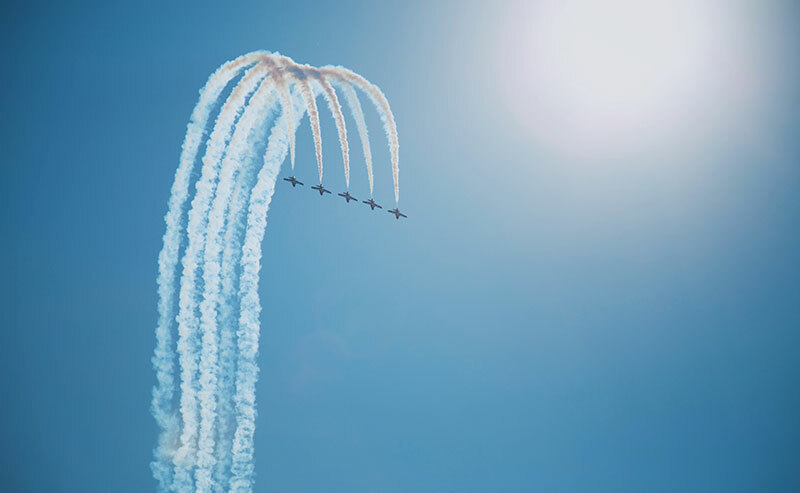 This riveting three-day event running from September 28-30, 2018 is the largest military air show in the United States and is located less than 10 miles from La Jolla Shores. Kids and adults alike are dazzled by the Blue Angels' daily air performances and the biggest selection of both military and civilian "static" (non-flying) aircraft in the U.S.
Pairing art and wine with warm sunshine and palm trees is about as California as you can get! On October 6 & 7, 2018, come experience the laid-back SoCal artist vibe at the annual La Jolla Art and Wine Festival in the heart of La Jolla Village. 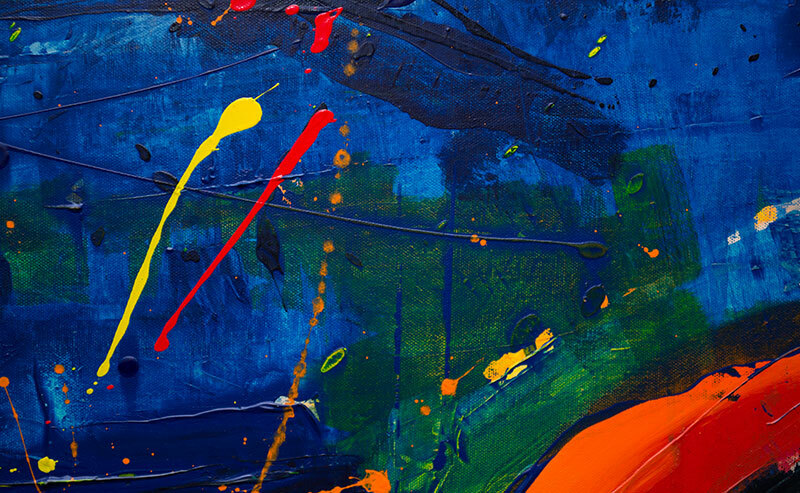 LJAWF presents the work of over 100 established artists in San Diego, Orange County, Los Angeles, and Baja California. In addition to an expansive wine and beer garden featuring the region's premier wineries and San Diego's top craft breweries, the lively festival also boasts plenty of family-friendly activities including live music, a silent auction, gourmet marketplace, and family art center. We know how important it is to feel home when you're away from home. At the family-owned La Jolla Shores, you will experience all the comforts of home with the additional benefits of attentive hospitality and the easy Southern California vibe. Our 128 modern guest rooms, all equipped with complimentary Wi-Fi and Starbucks coffee, are designed with you and your family's unique needs in mind. We offer options ranging from private garden and patio rooms to deluxe beachfront rooms with kitchenettes. Give yourself permission to relax as much as you want, whether that's lounging in one of our complimentary beach chairs, taking a dip in our heated outdoor pool, soaking in the hot tub, or scheduling an in-room massage. 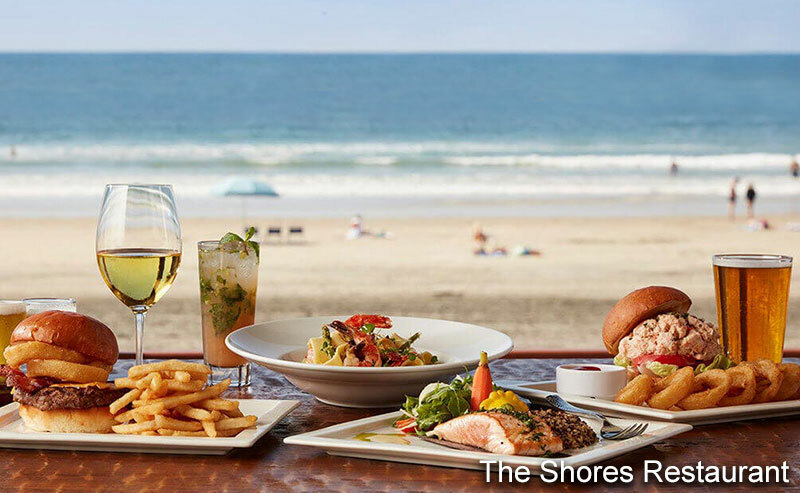 Enjoy oceanfront dining at The Shores Restaurant or The Marine Room, or order room service right to your balcony. When you're feeling more adventurous, our direct beach access means a refreshing walk or jog next to the beautiful Pacific is just steps from your door. For guests who are looking to stick to their regular workout routine, we have a complimentary fitness center with weight and cardio equipment. Our private tennis courts are also open to guests, with lessons available. 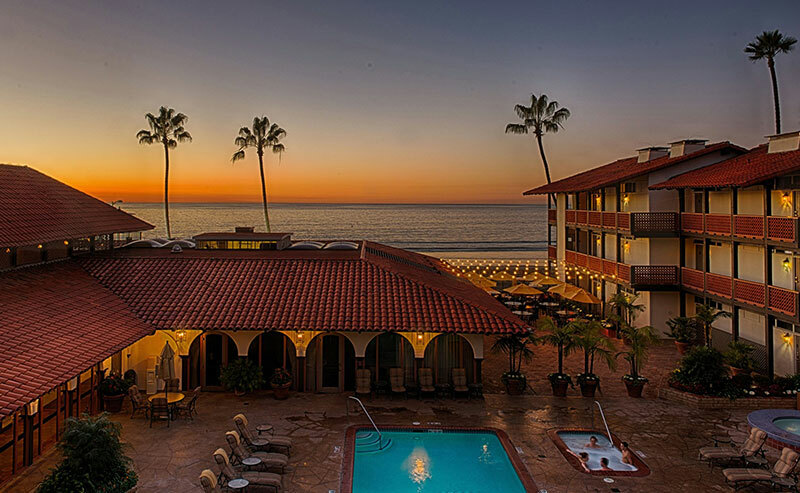 "La Jolla Shores Hotel may be the only hotel in La Jolla Shores, but it offers better amenities than its competitors farther south for a much better price. 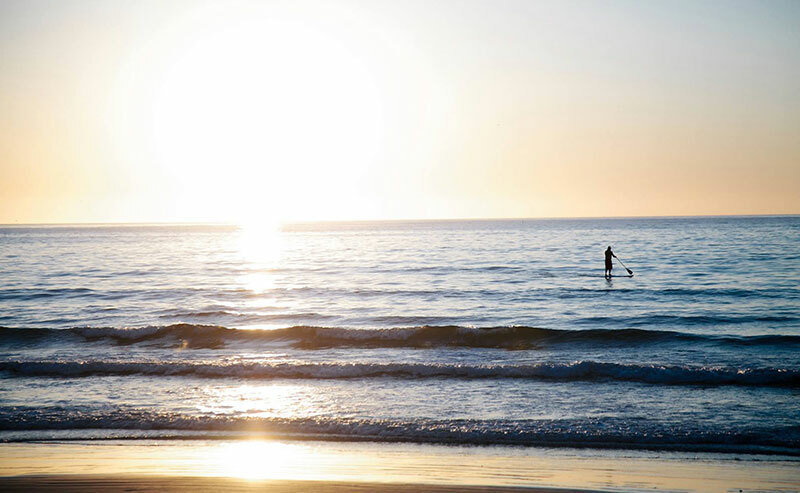 It benefits from the true "beach town" vibe with every aquatic activity you could want…"
Summer is never out of reach at La Jolla Shores Hotel. Our perfect Southern California beachfront location, indulgent amenities, and exciting activities give you a fantastic excuse to extend your summer vacation. So before you put away the white pants and bathing suits, give them one more whirl! Plan a Fall beach vacation at La Jolla Shores that will relax and inspire your family, while creating precious memories for years to come.